A craniotomy is the process of surgically opening the cranium (skull) in order to be able to access the brain and other structures beneath. It is almost always needed in order to get a (histopathological) diagnosis of a tumour and to relieve pressure which builds up in the brain and surrounding areas as a result of it. While the idea of someone entering your brain might sound intimidating, you should know that modern technology and techniques allows surgeons to enter the brain with absolute precision and extremely small openings in the skull. An operating microscope is usually used by the neurosurgeon to clearly see within the cranium and delicate, precision instruments are used to remove as much of the tumour as possible without disturbing the surrounding healthy brain matter. With our techniques, the incisions are minimal and this results in less time on the operating table, lower blood loss, less post-operative pain and quicker recovery with minimal scarring. As the name suggest, an awake craniotomy is a craniotomy done a patient while he or she is awake. It is practised on patients who have tumours in what are referred to as ‘eloquent’ areas of the brain. These are particularly sensitive regions of the brain which control important functions such as speech, language and motor functions. Special anaesthetic techniques are used to keep the patient pain-free, clear-headed and co-operative. 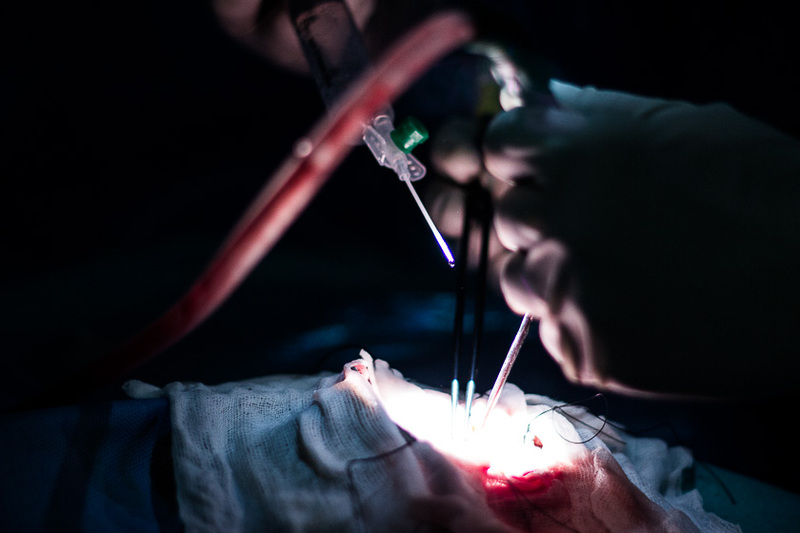 As the surgeons operate in sensitive areas, the patient’s brain is both stimulated and closely monitored to ensure that there is no damage to any function while the tumour is being removed. At Sita Bhateja Speciality Hospital, we have performed awake craniotomies with a high degree of success.